Purpose built portable Pollinator Link® now available for Community Nurseries, catchment groups, Community Gardens, Habitat Brisbane Bushcare events, schools, etc. 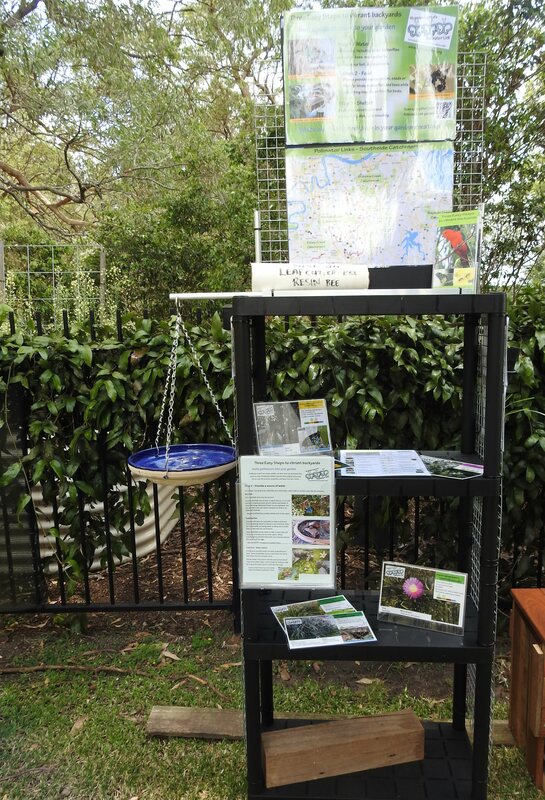 The display is lightweight, easily transported and quickly customised with a local Pollinator Link® corridor map and hung with plants available at the Community Nursery or being planted at the Bushcare site. 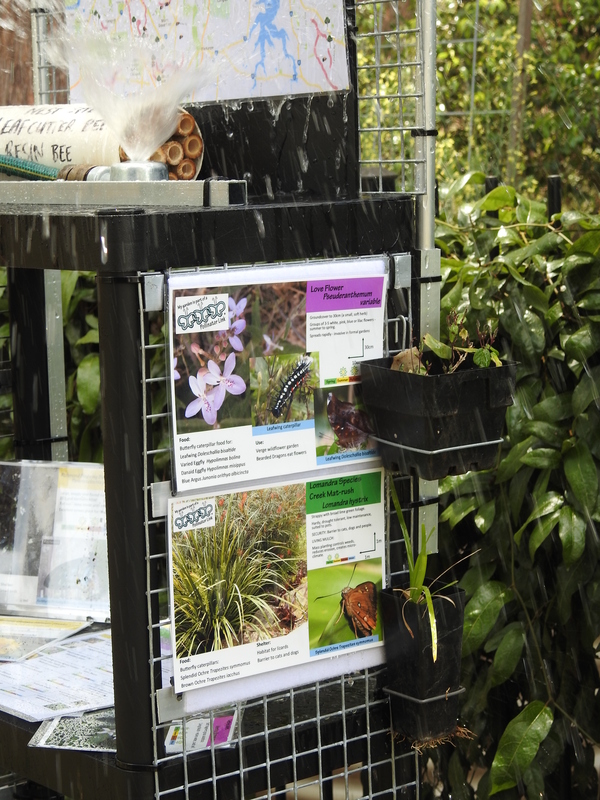 Customise with Pollinator Link® plant signs to match the plants being sold in the nursery or being planted at the Bushcare site. The plant signs focus on Food and Shelter and include photos of pollinators attracted to each plant. What pollinator plants are for sale in your nursery? Tubestock and spacesaver hangers are available to hang plants you want to promote with relevant sign. Larger pots can be displayed on the shelves. Of course you will need to water the plants so the display is designed to get wet when plants are watered or if it rains at an event. 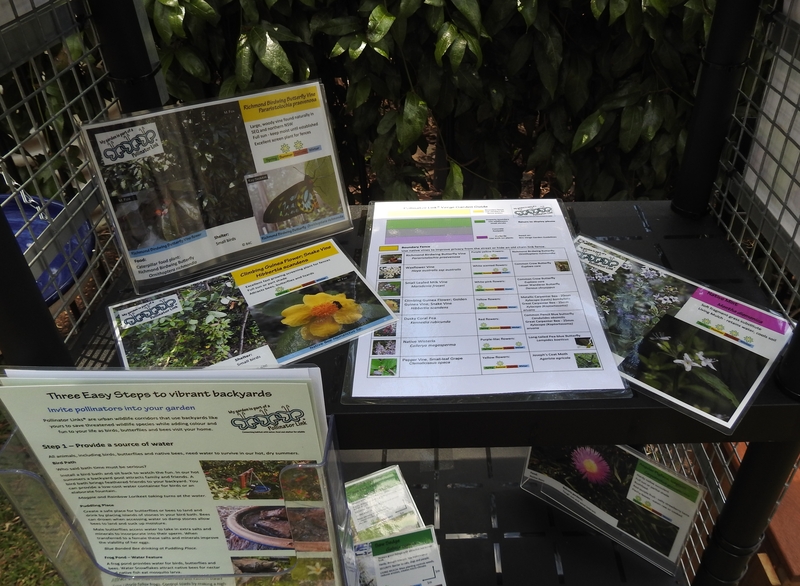 Consider talking to your Habitat Brisbane Officer about plants to give away at your Bushcare plantings so participants can start building their Pollinator Link® garden at home. Plant sign Native WisteriaPlants can be provided with the display if required. Plant signs attach to the display with velcro and are colour coded to help plant selection to suit site, for example, Verge Gardens. Supported by Bulimba Creek Environment Fund. 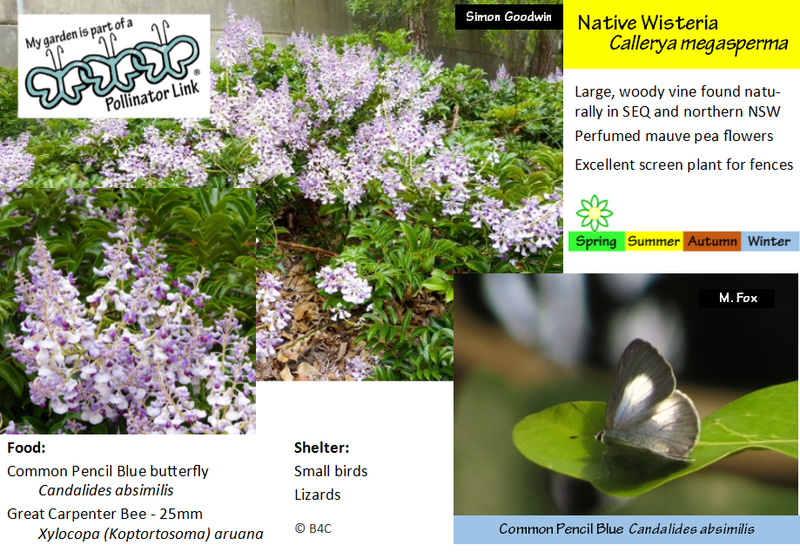 This entry was posted in Wildlife Corridor and tagged BCC Habitat Brisbane, Community Garden, Community Nursery, Display, Pollinator Link, Verge Gardens, waterproof. Bookmark the permalink.